The base element : A catamaran concrete float - a chambered concrete float element built from concrete that replaces the (fast rotting) bambus bundle in the asian floating house concept. The catamaran floating element is a maintenance free base with a 200 year service life you can build a house on that lasts, and maintains a high grade of mobility. 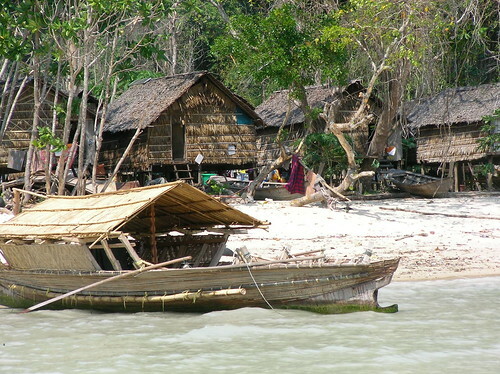 You can use it for a floating village development or for a mobile platform capeable of oceanic travel. Cost universe 331 Euro/ cubic meter of displacement. Give it to the moken people - they will live and work on the ocean surface - give it to the polinesian they will settle the pacific. 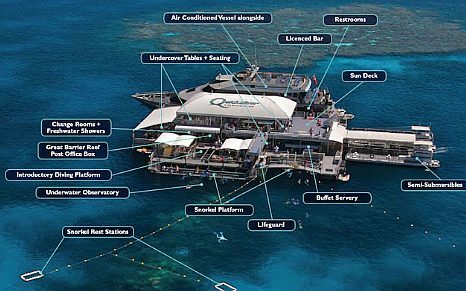 The moken live in protected waterspaces - how big must a catamaran be to be comfortable in open ocean? The catamaran design is not only suitable for fast and light yachts, it has also been performed for heavy workboats. what did u have in mind for a cat? Looking for collaborators to start an organization providing full time ocean living suitable, small (single family sized) Catamarans, sold for under 100,000 USD. 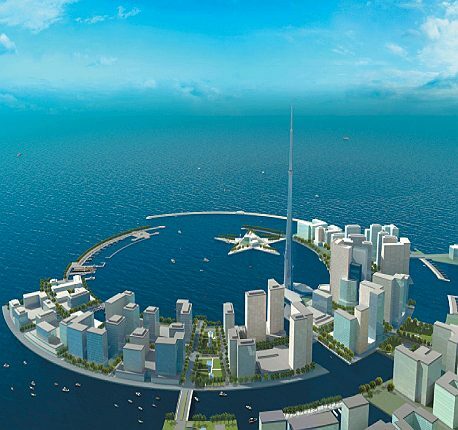 Seasteading will likely be enabled by a wide variety of competing and complementary technologies and infrastructures. One such enabler is the light and mobile single family sized vessel. 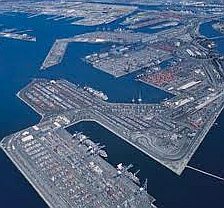 This is an important component of the transition to seasteading, as well as an important component of the realized vision, ensuring their viability from beginning to end, from the days of shipstead business ventures to floating breakwater cities. Practical steps must be taken sooner rather than later to enable aspiring seasteaders to take on the coastal and high seas, simaltenously providing mutually reinforcing support to other approaches such as fixed structures or larger narrow focus ships. 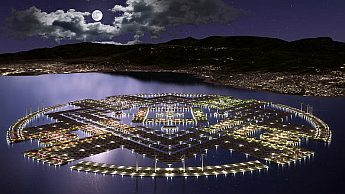 Familiarity: in the beginning of seasteading, access to land and commonly used infrastructures and services within a well defined legal framework will prove crucial for all but the most determined pioneers. A large liveaboard boater community provides access to both expertise and rapid community building, enabling bolder moves sooner. Smooth transitionning: likewise, many candidate seasteaders would benefit from the ability to transition smoothly, both quantitatively and qualitatively, from their current lifestyle to that of a seasteader, easily going back and forth between periods of sea living and land living at a pace and level they are individually comfortable with. Versatility: individuality is a key definer of this initiative. A shared but basic and versatile common vessel design should enable varied lifestyles. Including but not limited to, the small business home office, the small scale floating shop or the floating home anchored off a larger seastead (such as the future blueseed vessel) or coastal city's job pool, all the while minimizing the difficulty of switching from one style to another. Affordability: finally, practical mass access is severely hampered by the requirement of a large commitment, and difficult access to credit and insurance. A low price point is crucial to remedying the first two and a familiar proven design should help with the former. Part time seasteaders: individuals and families maintaining strong ties to land via fixed jobs or demanding commitments whose eventual goal is to become full time seasteaders. They aim to achieve this goal over a period of years, starting with a low commitment to temporary periods of ocean living. 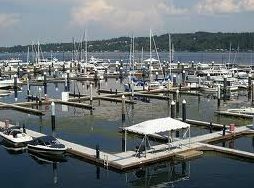 Some of them might make our product their home, living from a marina, and some might only use it for weeks or months at a time. Ideally, our product would be transportable by land to give access to landlocked lakes as well. Full time seasteaders: individuals and families working on larger seasteads lacking accomodations, wishing to provide services to other seasteaders and coastal cities or those being almost entirely self reliant. 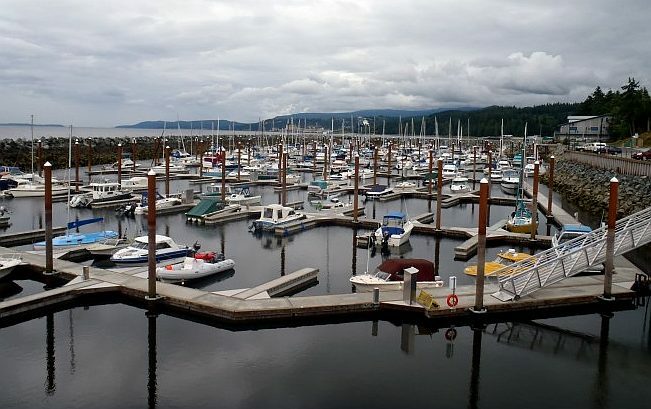 Casual sailors: a secondary market could be found in young retirees or people who can currently not afford the initial purchase of a similarly sized vessel but can support the ongoing expenses of maintaining one. It is unclear how big this market is and it should be considered secondary at best. These customers would also help lower the commitment of our main target customers as they could also enable them to more easily recoup their costs in the event of a desired or unforeseen change of circumpstances. The envisioned product would be a vessel largely similar to existing cruising catamarans but more conducive to long term living at sea. 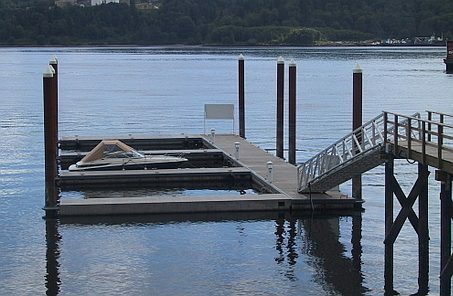 Only a couple variations of the same basic design should be offered, largely customizable by the owner while already on the water. 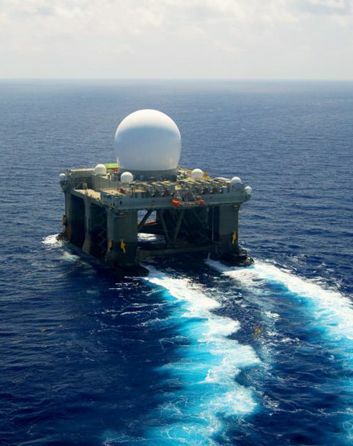 Mobility: the vessel should be fast enough to outrun most storms it cannot survive, as well as use dynamic positioning when necessary and normal anchoring when not. The base design should be light and streamlined enough to allow for this with minimum expense. Normal expected cruising speed would be low while allowing for a sustainable top speed of around 20 knots or more. Stability: should be at least as stable as existing 45 foot catamarans. While not providing a land like experience under any sea states, this level of stability has proven confortable enough to experienced cruisers (which all aspiring seasteaders will eventually become) as well as to be conducive to performing varied work activities onboard. Heavy or simply rough seas will provide an uncomfortable ride, may prevent income generating activities, cut off Internet communications and require moving unexpectedly to other areas. 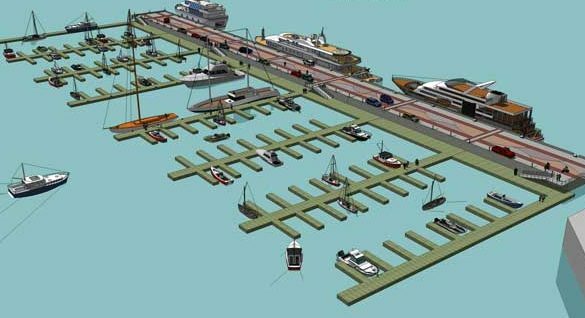 Size: it is expected that ports will be an important destination of early seasteaders and the vessel should be designed to easily dock and fit into slips. It should also give enough accomodation space for a few people and light commercial or self sustaining activies. 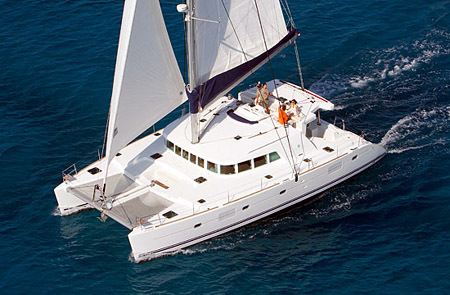 Existing 45 foot catamarans should provide a good starting point. Materials: frequent low intensity impacts as well as occasional high intensity ones are expected. Collisions with like vessels, heavier ones, groundings and bumping into fixed facilities should be expected. The vessel should survive most and remain largely unscathed for minor collisions with small vessels, fixed structures and groundings. Insulation should be adequate to minimize energy use to provide a livable environment in the tropics and in cold climates (the emphasis is on liveable - confort in extreme environments may be the result of owner modifications). The hull and structure should require no further work and satisfy the requirements outlined in this specification. Finish however, should be basic and allow the owner to make final touches while at sea. Versatility: the base design should provide for accomodations and extra space for undertermined activities. Modifications to suit various lifestyles and activities should be possible while at sea. Limited vegetable growing, medium fishing, guest food serving, light artisanal manufacturing, mechanical repair work, design, internet or professional consulting etc. Energy: should offer a simple generic design allowing for a wide range of energy sources that can be easily altered. A possible solution would be an all electrical system (motors, stoves, refrigerators...) with no provided power plant and limited battery bank. Such a design would allow the energy to be supplied via any means deemed appropriate by the owner (solar, wind, LENR, waste burning, diesel power generation...). Equipment: should be basic but include minimum sleeping, washing, cooking, storing and navigation equipment. Safety: the hulls should be largely insubmersible in the base configuration, while providing a reasonably safe habitat in most expected sea states and while capsized. Most serious blue water catamaran designs already satisfy this requirement. In addition to the above, carefoul thought should be given to the threat of piracy and theft (both of the whole vessel and inside) at the structural level, while at sea and underway. Price: the vessel should be liveable and autonomously movable as sold (with the exception of the power plant which should be provided by the owner) and carry a price tag of under 100,000 USD. Gauge interest and refine concept. Discuss further steps based on our conclusions (potentially partner with or recruit a catamaran designer or catamaran building company to produce a workable design, then take pre-orders, find a shipyard..). 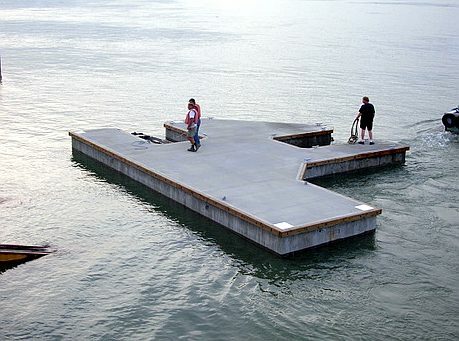 I would like to add my thoughts on this concept of a 45 ft catamaran. 1. for more sail area and faster running into the wind- use a parallel/biplane rig. forget standard rigs --they are more costly and less effective. other than the carbon fiber costs--two smaller diameter masts can be made cheaper than two larger or one giant mast as in a sloop rig. the benefit of this is that the masts lower the center of effort and allow ease of fitting out- one in each ama.providing less complications for proving mast steps rigging etc, as they can be unstayed and rotating to allow for any sailing angle and best of all they do not heel the vessel-hence no seasickness.-so the only motion is the movement for and aft no lateral movement. the biplane rig works better than any other method sailing into the wind. check out dutch designer Berhnd Kohler's duo 800 rig as an example. using anti-vortex panels instead of huge keels keeps the vessels draft high great for shallows. secondly --for speed considerations consider a stepped hull. this allows for fast running in heavy weather. you need to outrun storms and on occasion run directly into them. these will plane in the right conditions. faster speeds than 20 knots easily accomplished in higher winds. i have designed a type of hull that planes at lower speeds. of course the swath technology is great but all the wetted surface area and drag will reduce speed--it will be difficult if not impossible to sail at 20 knots with known swath technology. 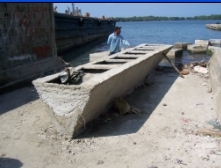 materials- although many have stated that ferr-cement cannot be used for vessels with no built in reserve bouyancy- this is false. ferr-cement-- is 5% less weight than steel over 30 ft in length-new developments ( well old ones really) has allowed for thin shell structures to be constructed while reducing weight even further. the new laminated ferro-cement (or LFC)method will allow a vessel of this size to be constructed cheaply and effectively. while being able to hit a reef with minimal damage. 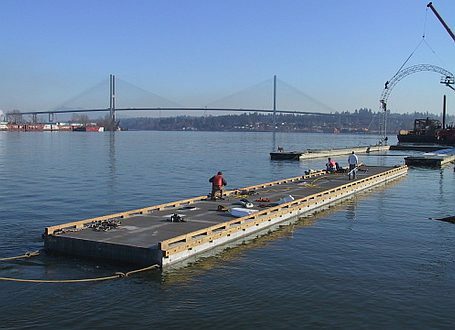 further there are polymer modifed cements that cure faster than concrete and develop high compressive and higher impact strengths than standard concrete in less time- no water curing required. thin shells can be made for less costs than composite shells, and are inherently stronger. while proving a high degree of strength to weight ratio's. even better are materials such as fer-a-lite or my bondo-crete which would provide the best and lightest materials for their strength to weight ratio's yet costs for a hull would be cheaper than any composite,steel, or wood. a fer-a lite hull would cost 2/3rds less than that of steel. and 1/3rd less than fiberglass. and be stronger requiring virtually no maintenance. the sheel thickness for a 45 ft catamaran would be about 3/8ths of an inch thick(using fer-a-lite) at about 1 to 1.5 pound per sq ft.
Hello Nicholas, excellent post ! 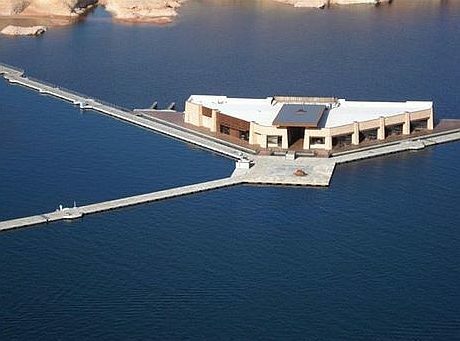 - No doubth that the next step to seasteading will be just one step away from something that exists and is in use already right now. It is also clear that the ONLY reason that inhibits the yacht segment to develop into a seasteading movement is that only millionairs can handle the cost of yacht seasteading in the current setup. So the task left is to get something very similar to a independent yacht on the water that is affordable for a average joe - means in the cost and living space range of an average landbased house. 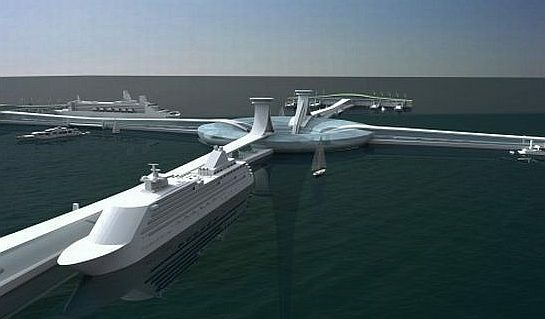 Seasteading (i like the term ocean colonization better) will develop along a lot of different axes (see here) and one of the most important of those axes will be catamaran seasteading the base element will be a boat that is percieved by the public just as a long term live aboard specialized catamaran. 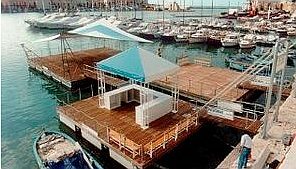 The main reason why yacht living space cubic and squaremeters are a factor 100 more expensive than land based living space cubic and squaremeters is, that yachts use materials (resin, carbon, glassfiber) that are a factor 100 more expensive than the materials used in land based housing (concrete). 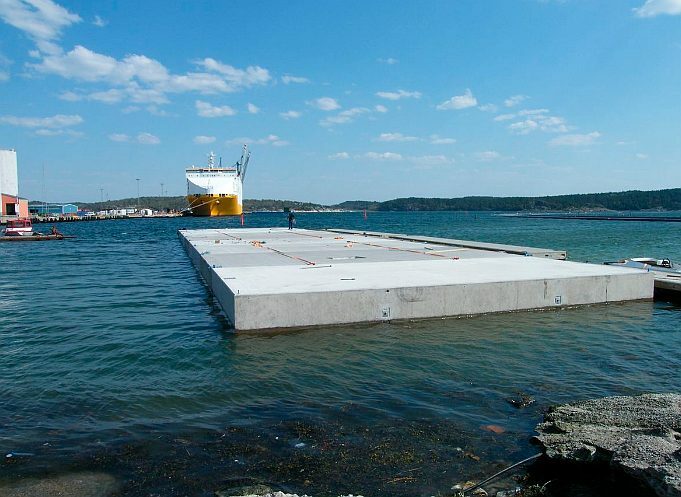 Happens that concrete shell building comes at the same cost for land based applications as for sea based applications. So the logical way to solve the factor 100 living space cost dilemma is to apply concrete shells at sea . 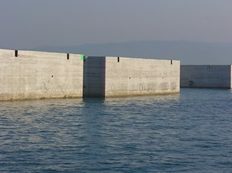 The catamaran that can handle the specification you are talking about is a honeycomb concrete shell structure along the lines we built in our testsites in cartagena we built a series of small concrete honeycomb structures, among those a catamaran floating element. This catamaran floating element could form the base of floating houses or long range cruising and live aboard catamarans of house size and house cost. Affordable living space on the ocean that is not limited to the fancy shiny and expensive club and marina atmosphere that is covered by the current yacht industry.
. Polinesian version of ocean colonization. Floating house near Cartagena Colombia natural park Baru. It is not a classic catamaran yacht - but it is a catamaran floating structure stripped of most of the yacht bling and cost - but still a very comfortable floating home. 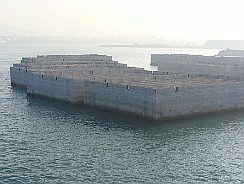 It features a protected stern harbor - it should be made of more durabe building materials - like concrete shell and concrete honeycomb construction techniques. 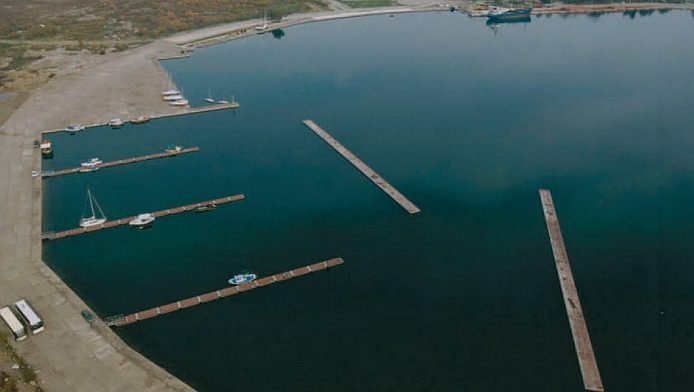 The 370 foot floating resort of this picture was made of steel - but obviously taking it out of the water in a drydock every 10 months for gritblasting and repaint - must be a maintenance cost nightmare. Only merchant ships that produce money on a dayly base can afford such high maintenance cost solutions. 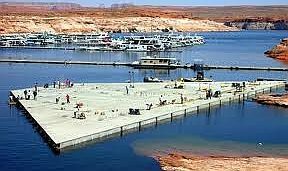 Floating islands can not - the cost of squaremeter living space per month becomes astronomic. 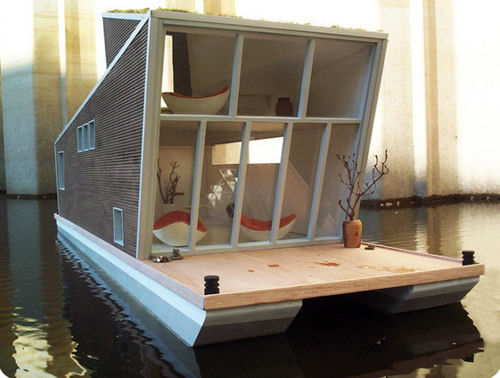 This tiny cabin is a free-floating catamaran suite designed by Dutch architect, Marijn Beije. The design was conceived with the hope of luring a younger and more city-focused group of people back into nature, and offers a unique new way to sleep under the stars. Guests can enhance their experience of nature by relaxing in this fully furnished floating eco-lodge, complete with bedroom, bathroom and rooftop deck. Hello I am wanting to build a two story home in Key West and at time it would have to go into the open ocean. 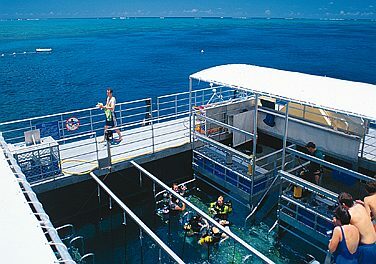 What would you recommend for building a 60 foot long and 14 wide two story that can be in the open ocean. 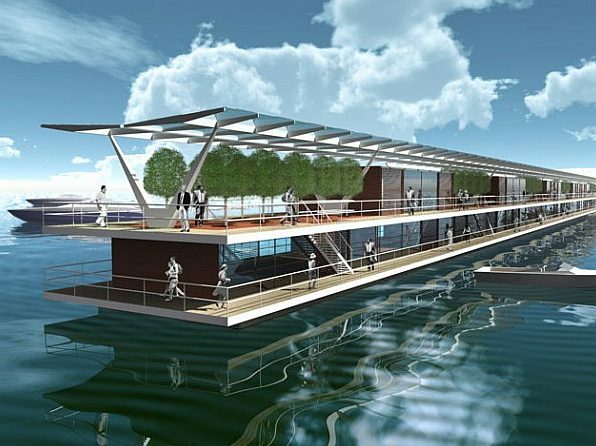 Would the Concrete Catamarans work? How tall and wide do you think they should be? Is it foam inside with wide and concrete cover? Do you know someone that builds them? Sorry for all the questions but this is all new to me and I want to make sure the house I build on top will not sink. Thanks again for any advise!